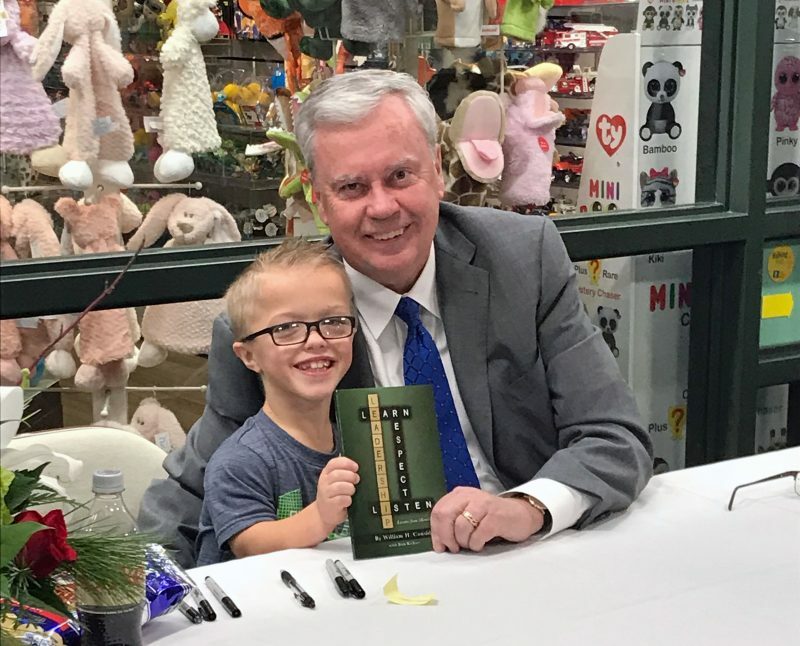 Akron Children’s CEO Bill Considine takes a break at a book signing in the hospital lobby with frequent patient Spencer Beal. 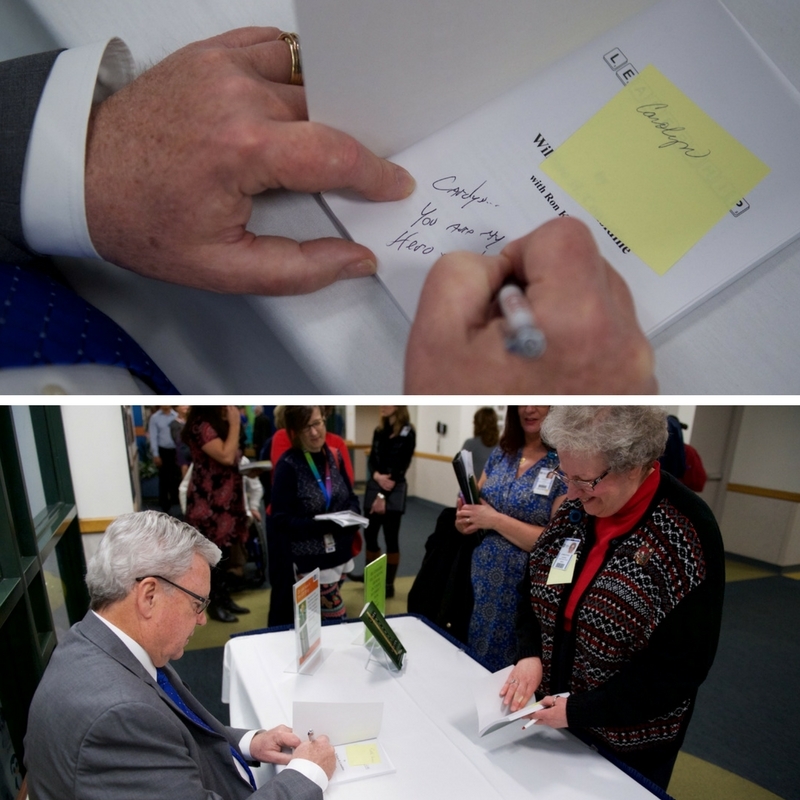 Mr. Considine recently published “Leadership,” which draws on his experiences over the past 38 years at the hospital’s helm sharing his personal insights on how to become a trusted and inspiring leader. Mr. Considine took the time to write a personal note in everyone’s book. In the book Mr. Considine uses the letters in the word ‘leadership’ to illustrate the key attributes necessary to effectively motivate others. He shares stories from his life and the lasting impact mentors, friends, family, coworkers, community leaders and patients have made on his leadership style. 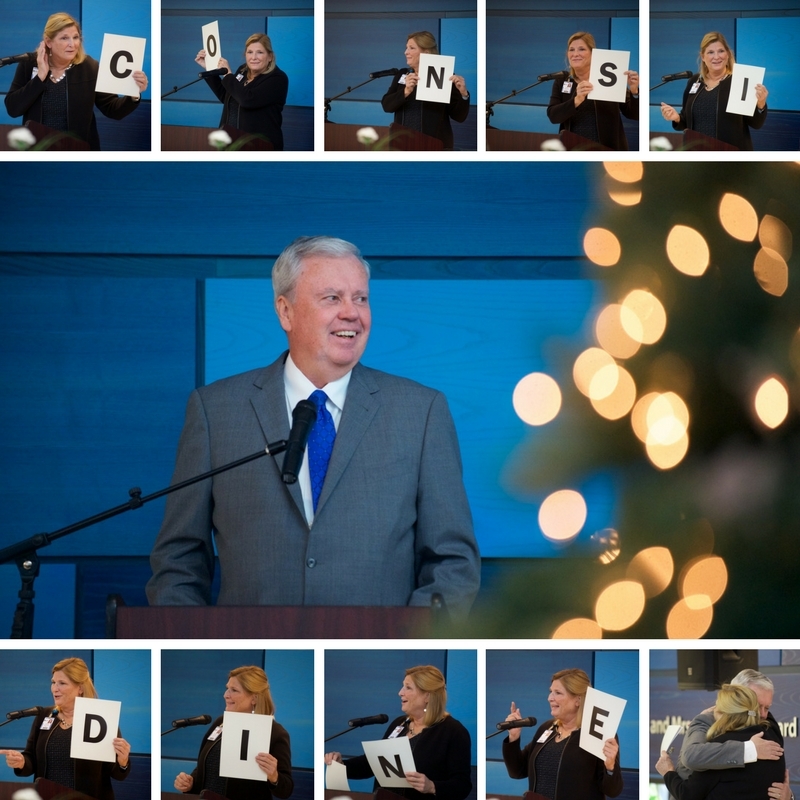 Akron Children’s President Grace Wakulchik spells “C-O-N-S-I-D-I-N-E” while talking about the book during a luncheon with hospital donors after the book signing. He talks about how carefully listening to and acting on feedback from colleagues and patient families has helped guide his career, and he offers tips to help others define and develop their own organizational values and personal leadership style. “Leadership” can be purchased in the hospital’s gift shop for $15 or on Amazon. Proceeds benefit the Rebecca D. Considine Research Institute. Carolyn B. Hofmann has worked at Akron Children’s for 44 years. She didn’t miss her chance to get a few signed copies. 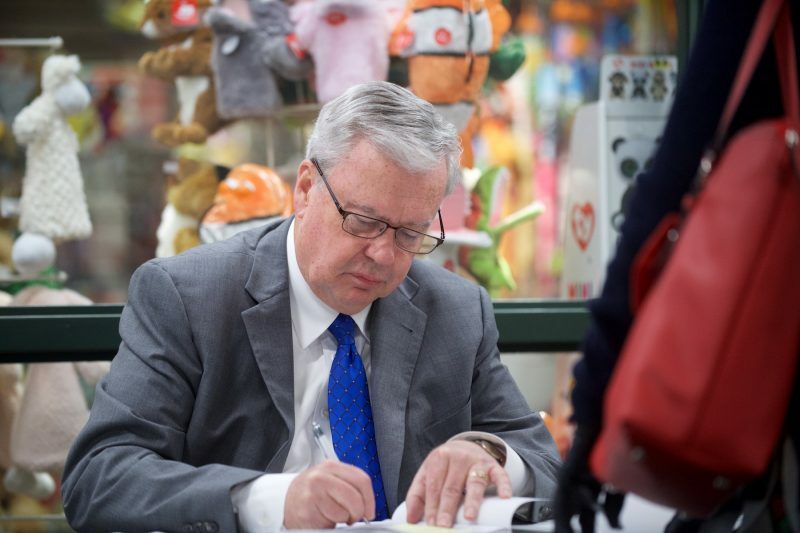 Mr. Considine penned,” You are my hero,” in one of her books.